This post isn’t written with any bitterness, just some reflection on photography competitions generally. It’s that time of year when I watch on as Twitter erupts with excitement at the receipt of LPOTY shortlist emails. This is the third time that I’ve entered and not made the shortlist, and no matter how much I tell myself to not be disappointed, it is inevitable: I am disappointed. And worse – I’m disappointed that I’m disappointed; I should know better! I was a member of a photography society for a few years at one point. My club had a very active competition calendar that involved six internal competitions per year as well as frequent external comps against other clubs. At these competitions, an independent judge would come to the club evening and spend around 90+ minutes judging the entries, providing a commentary along the way. Some competitions would result in approximately 100 entries meaning the judge had less than one minute per entry to view, critique and score the image. In that minute, judges could frequently mis-read or mis-interpret an image or quite quickly dismiss it based on relatively arbitrary criteria. Perhaps the mis-reading/mis-interpreting was often caused by fuzzy execution of an idea but my point is that one minute often seemed like an insufficient time to fairly judge an image (unfair for both the judge and the photographer!). So then, consider LPOTY. If Twitter is to be believed, there are generally up to around 20000 images submitted each year. The initial judging, to get down to the 400ish images on the shortlist, is done in two days by two judges [citation needed!]. If that is correct, assuming a 10 hour working day, the judges get approximately four seconds to review each image. The first is with the result; to feature in LPOTY is an aspiration of mine and to not be successful is disappointing. 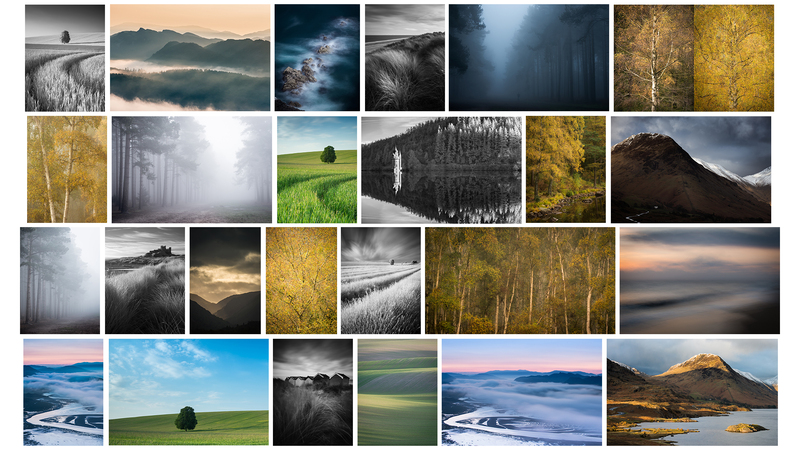 The UK landscape photography scene is full of amazing talent that eschews the “500px-style” of landscape photography that dominates the internet. LPOTY typically encapsulates a fine cross section of the UK landscape photography talent pool and to be part of that could be seen as the ultimate in peer recognition, I guess, offering some form of validation of my work. The second is with the process itself. The entry fee is not trivial; to enter 25 images costs £35. So I’ve just paid £35 to have my 25 images reviewed in under two minutes. There are certainly better ways to spend £35! Can I expect a favourable review of my images in that time? No. But do I think a longer review would change the outcome? Probably not, to be honest, as the standard is just that high. So if I think this up front, why do I even bother to enter? See point #1. I know that social media likes count for nothing in terms of judging the quality of my own work. There is never any real constructive criticism given, just endless variations of “great shot”. I crave actual feedback. I crave peer recognition. We all do, that’s why we share our photography in the first place. My mistake is confusing competition success, a form of peer recognition, with valuable feedback from my peers. The two are not linked. The way the competition process is run does not allow for actual feedback, just a binary yes/no. Should you put too much emphasis on that result, I would suggest not, whatever the result. The ‘no’ could be taken as straight rejection, which could be hard feedback to ignore and if taken to heart could have a negative impact on your work… What am I doing wrong? Why are those images successful and mine aren’t? Maybe I should shoot more like that? And this brings me full circle. I know better than that. I don’t shoot for judges, I shoot for me. It’s my opportunity to get outside, away from the stresses of my day job, and capture the majesty of the British countryside. I should know not to get lured in by competitions and just concentrate on getting out and making images. To take competitions so seriously that you start to forget why you do it in the first place is daft. That’s not to say you (or I) shouldn’t enter them, but just don’t give them more credit than they deserve. The cynic in me ultimately believes that they exist with the sole aim of making money through entry fees and book sales (with a coincidental side product of some fantastic exposure for the successful photographers) which is the point that really makes me think twice about my disappointment! Although this is not the most up-to-date reply, I’ve just read this page with great interest and understanding. Your comments are exactly the same as mine, except that my photography skills aren’t realistically even up to actually entering this competition. I go through the same “trauma” at Camera Club level. All I can say is that may be one day, just one day, true recognition may be realised. We must keep trying! I fully understand your feelings Elliot. I’ve entered for 5 years running, only had 3 images picked up and published in that time. Painting the cold hard facts as you do brings it into sharp relief, paid £150+ in entrance fees and I’ve still had to buy 2 books at £20 each. At the end of the day I paid £200 to see 3 of my images in print and zero extra sales or interest in any or my work. Add to that all the stress of worrying about just one competition and yet…and yet…. I’d wager that we’ll both be entering again this year! I’d consider one image published in the book to be a success; realistically, that really is the limit of my aspirations in that competition. Perhaps those three haven’t resulted in increased sales or interest for you, but I’d hope the tangible output now sat on your bookshelf is at least a little satisfying, – seeing your work sat alongside those other high quality images. You triggered me into making a couple of articles public in On Landscape that are relevant. I’m a subscriber to On Landscape, but can’t remember ever reading that second article, so thank you for posting the link, it’s very insightful. The advice in the ‘Using This Knowledge’ paragraph at the end sounds worth a go – I’m sure I’m the worst person to review my images as I just can’t be objective. Though even once I have selected images I then agonise over category selection; far more than the judges do I’m sure! I’d love to have a chat about image choice, thank you, I’ll be in touch by email.